For the determined pilot seeking to expand his/her privileges, after the Private Pilot’s Licence comes the Instrument Rating. In the UK you can still obtain an IMC rating though that may change under new European legislation. The Instrument Rating allows you to fly in inclement weather, or weather that doesn’t meet the definition for VFR flight. With an Instrument Rating, you can fly under the instrument flight rules or IFR flight rules. Whereas with just a PPL you are limited to VFR flight rules only. Learning to fly IFR is a lot like playing a video game. You have to make the aircraft do what you want using only the instruments on the instrument panel. During training, this is ensured by the use of foggles or an IFR hood. Due to the bulkiness of IFR hoods, I always preferred the foggles as they are the same size as a pair of safety glasses. In fact, foggles look a lot like safety glasses and are just as easy to store. Both options prevent the ability to see outside which is essential for learning how to fly in IFR conditions. 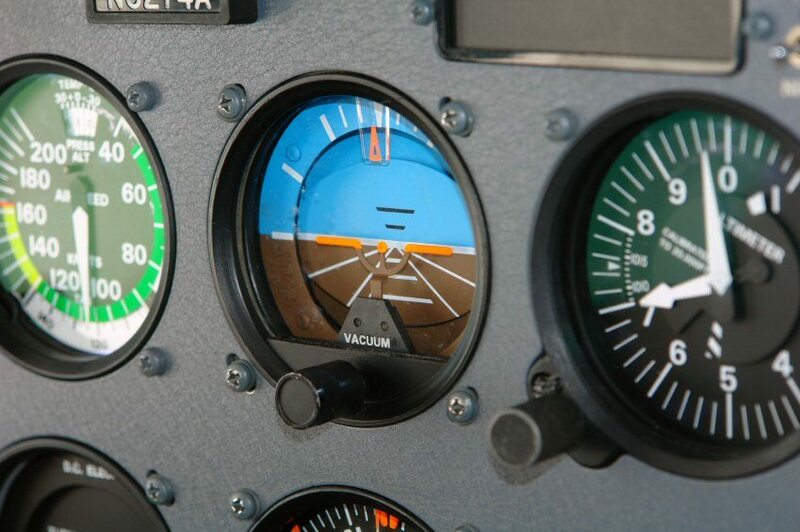 During IFR flight training and while flying in IFR conditions, you must only use the instruments to fly the plane. This is due to the fact that there are no outside references in IFR conditions. You’ll be lucky to see to the end of the wing. Therefore, looking outside is absolutely pointless. There’s nothing to see, and it can confuse you and your body. In fact, while flying IFR, you have to ignore the sensations of your body. Your body is no longer a reliable tool when flying in IFR conditions. So, while your instructor may have taught you how to fly “by the seat of your pants” during your private pilot training, that is exactly what you do not want to do during IFR training or while flying in actual IFR conditions. That’s why I say that flying IFR is a lot like playing a video game. You have to rely solely on the instruments on your instrument panel. If the altimeter says you’re climbing or descending, you must believe that and make corrections no matter what your body is telling you. If the heading indicator says you’re turning away from your heading, you must make the correction back to your heading. 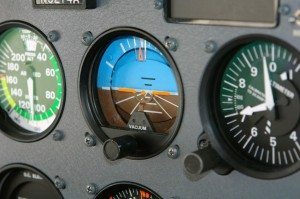 You must absolutely believe your instruments and what they are telling you because during IFR flight, you have no ground references to help you pinpoint your location. During your flight training, you and your instructor will fly in both VFR and IFR conditions. As an Instrument Rating student, you need to know what it’s like to fly in actual IFR conditions before you get your Instrument Rating. Though, there is no specific requirement involving flying in IFR conditions prior to receiving your Instrument Rating. Every IRF flight begins with an IFR flight plan that must be on file before you depart the runway. During IFR flight, you will be in constant radar and radio contact with aircraft controllers. This is so they can monitor your progress and advise you in the event you approach another aircraft or veer off course. Remember, during an IFR flight in IFR conditions, you have no visual references. The only people that can see other planes or aircraft in your path are the air traffic controllers. An IFR flight plan is both required in order to depart the runway in IFR conditions, and it is essential for the safety of the flight. IFR navigation is done through the use of VOR, GPS, RNAV, WAAS, ILS and LVP navigation systems. VOR, GPS and RNAV navigation systems are all enroute navigation tools that help you stay on course and fly from point to point during your IFR flight. The reason I say point to point rather than departure to destination is because IFR flight requires that you fly from navigational aide to navigational aide rather than in a straight line. IFR flight routes are depicted on your IFR navigation charts. You will need IFR navigation charts for the areas you are flying for every IFR flight. WAAS, ILS and LVP are systems that allow you to approach an airport to land. Depending on your equipment, the approaches will either line you up with the runway or take you down to the runway. It depends on the precision of the approach equipment and the equipment you have onboard the aircraft. The approach and landing will generally be the only times you look outside the aircraft during IFR flight. In order to land, you have to have visual contact with the runway. If you don’t see the runway, you have to abort the landing and try again or divert to another airport with better weather conditions. In short, the Instrument Rating will allow you to fly in conditions that are less than VFR. As always, you’ll have to use judgment when it comes to the safety of the flight. When faced with IFR conditions, you’ll have to decide whether the IFR conditions are something you can handle or if you should wait another day and fly in better conditions. Remember, the safety of the flight begins when you make the go/ no-go decision.